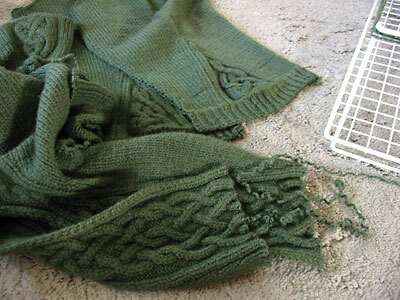 I don’t know why I thought ripping the sweaters would be a quick job, but I suppose it’s only fair that what takes 100 hours to knit takes at least an afternoon to destroy. I can’t decide if Hourglass was excited or terrified to be frogged, but when I went to unpick the neck facing I discovered it had already started unraveling of its own accord. 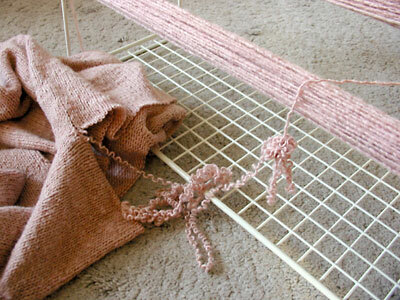 Seamless yoke constructions are pretty easy to frog, unless you mess up the ratio of sweater ripping to yarn containment. 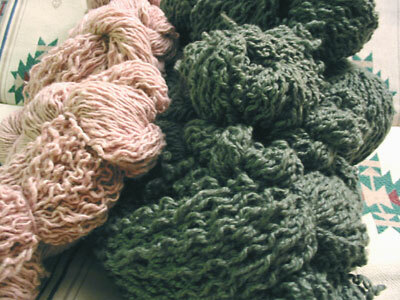 Three hours and a pile of pill fuzz later, I had four hanks of yarn. After a good night’s sleep, I geared up for the frogging of Rogue. 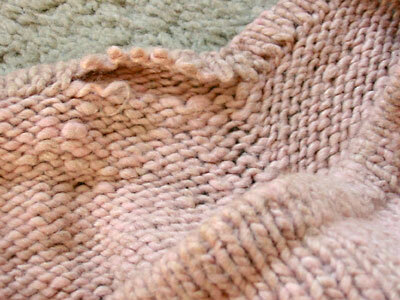 The White Witch may have no understanding of Old Magic, but she seems to have frogged a sweater or two in her time. Shaving the victim before doing the deed was a lot easier than removing the pills as I encountered them during the ripping. Rippity rippity frog frog. I also dug out the original un-gauge swatch from Rogue and frogged that too. Whew! All done. That actually was kind of fun. 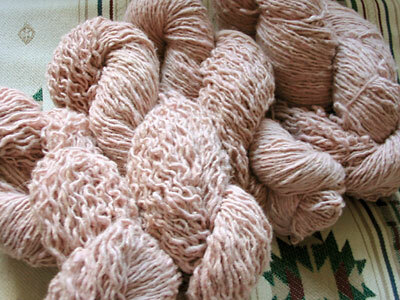 I still need to wash, dry, and wind the yarn into balls before I can cast on, but the scary part is over! And because I wasn’t already planning on destroying enough knitting this weekend, I threw the Ombre Blanket into the dryer after washing it. On purpose. I seem to have a habit of doing this. I put it in on low for maybe ten minutes. The end result is that it shrunk to being a 6-foot square (instead of being 6.25 feet by 6.5 feet) and it felted ever so slightly. I’m hoping that this will stop the blanket from being a crazy pill-shedding machine. CogKnition posted this on August 26th, 2007 @ 9:15pm in Yarn | Permalink to "F-Weekend Report"
Squee! I love me a Narnia reference! And the former sweaters look relaxed and ready to be something new. Good for you!